It is estimated that four million Florida children ages 14 and under are injured seriously enough to require medical attention each year. Many of them are hurt are because of the careless or negligent acts of others. From parks and playgrounds to swimming pools and day care facilities, the people who own and manage them have an obligation to the people who use them — and that includes children. So if your child is injured due to someone else’s carelessness or negligence, you have the right to protect that child’s rights. You may be asked to sign a waiver before your child can use the facilities at a park or a pool. But under the law, you cannot waive liability for someone else’s negligence, so don’t let the fact that you signed a waiver keep you from contacting legal counsel to protect your child’s rights. 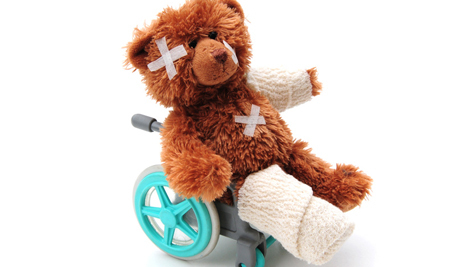 We represent children who have suffered any type of needless injury, from sprains and strains to serious and catastrophic injury, brain or spinal cord trauma, broken bones, paralysis, burns, and amputation or loss of limb. We also handle wrongful death claims involving children.